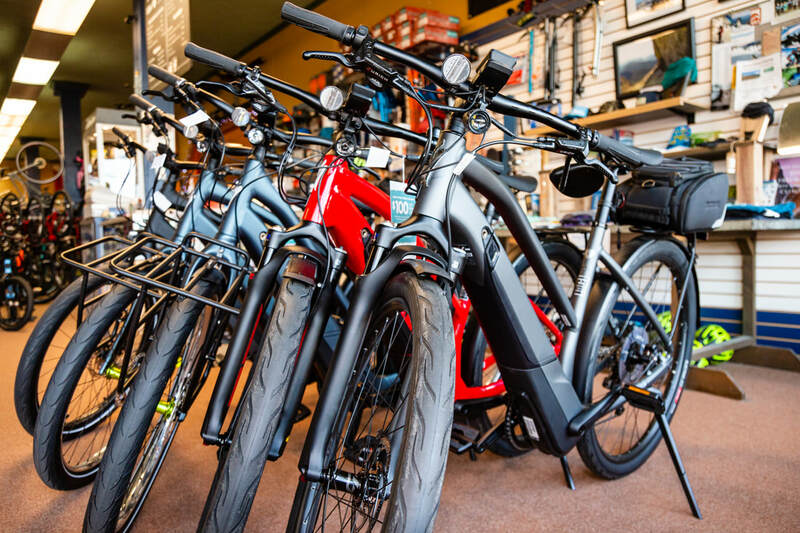 We sell e-bikes, mountain, road, hybrid, fitness, and commuter bikes. All our models are carefully chosen to ensure you leave our store with gear that performs on the Olympic Peninsula. Tested & Proven. We sell all the gear you need to complete your ride, including apparel, gloves, helmets, and components. We take great pride in stocking modern items that perform and keep you looking good on the road or on the trail. Quality. We have a fully equipped service center staffed by qualified and friendly technicians. Expertise. The Olympic Peninsula offers many adventures for road cyclists and mountain bikers - we have a rental fleet so you can enjoy them. Trail Knowledge.